Creamy cheese and a sweet-tart drizzle make for an excellent light lunch or mid-afternoon snack! In a small saucepan over high heat, bring Balsamic Vinegar to a boil. Turn heat to low and simmer until Balsamic Vinegar has reduced to ⅓ cup, about 10 minutes. Arrange slices of brie and mango on half of a tortilla and neatly fold the bare half on top. Cook on one side for 2 minutes or until the cheese begins to melt. Flip over and cook for another 1-2 minutes. 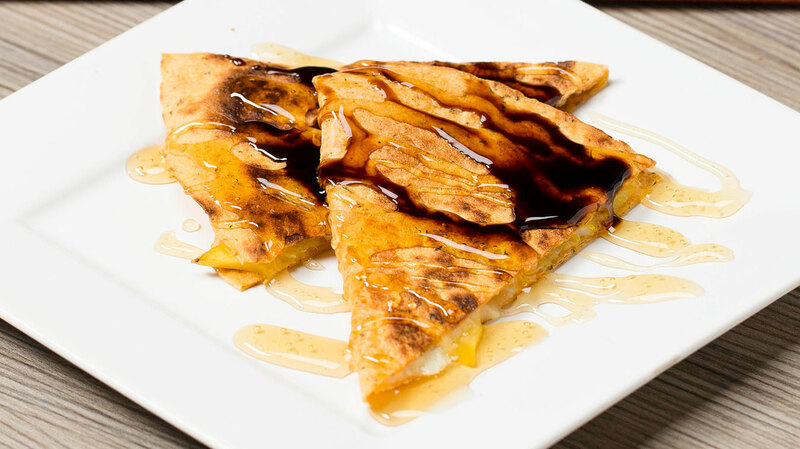 Cut the quesadilla into slices and drizzle with balsamic reduction and honey. Repeat to make as many quesadillas as desired.